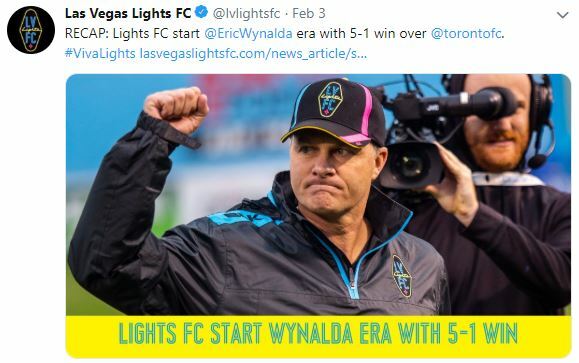 Las Vegas, NV - Lights’ fan Carlos Hernandez stated unequivocally that the Las Vegas Lights were, “GOING UNDEFEATED, YO!” after their makeshift lineup thrashed Major League Soccer’s Toronto FC’s makeshift lineup in the 2019 pre-season. Hernandez took his unlimited optimism to Twitter where he religiously re-tweeted and argued head coach Eric Wynalda’s braggadocio as he persisted in his unrestrained optimism for the 2019 season. The Nutmeg News will have more on this as the USL Championship unfolds.